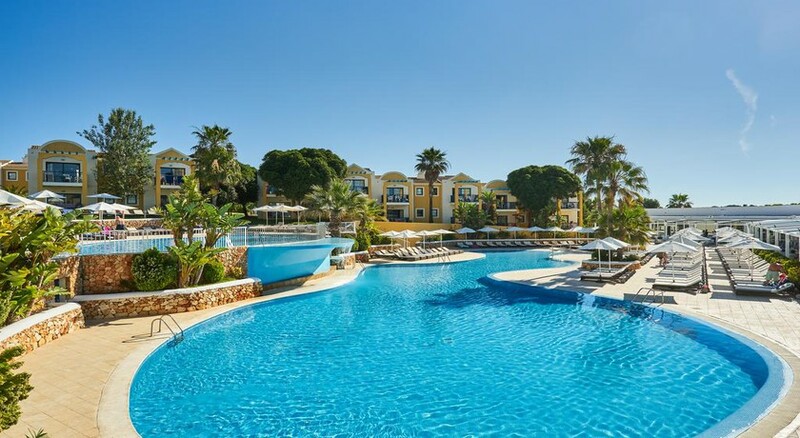 The exciting and fun-filled 4-star Mar Hotels Paradise Club & Spa is a great destination for families and couples looking for a holiday to remember in the resort of Cala'n Bosch. With beautiful lawned gardens and outdoor pools with a Splash! Zone, there is something for all to enjoy. The rooms are elegant and modern and ensure guests experience a comfortable stay while the on-site restaurant and bars are sure to cater to the dining needs of adults and children. The Mar Hotels Paradise Club & Spa is all about fun and relaxation with the on-site spa giving guests the chance to book treatments and massages during their stay. The nearest beach is just 500m away from the hotel but with many beaches and a marina to explore, there is plenty to see and do in the area. If the golden sands are not enough then there is the Aquarock Water Park for thrill seekers to enjoy while there is a great selection of restaurants, bars and shops located nearby. The hotel is 54km from the airport. 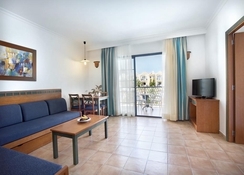 With One Bedroom Apartments and Studios, the complex is perfect for couples and families. Each room is bright, spacious and designed in light colours with plenty of features that provide guests with all they need. Each room comes with a living space, comfortable beds, a kitchenette, air conditioning, TV, telephone, en-suite bathroom and a private balcony. The on-site restaurant is the ideal place for guests to explore their every desire with a great choice of meals during breakfast, lunch and dinner as well as show cooking to add to the atmosphere. During the day, drinks and snacks are available at the Snack Bar and when the sun goes down, the lounge bar serves an extensive selection of drinks. The Happy Burger located near the Splash! Zone serves snacks for the little ones throughout the day. The complex is perfect for children and adults as the large main pool is perfect for unwinding while the Splash! Zone is a great way for the little ones to spend hours having fun. The spa makes it possible for guests to book a range of treatments and massages while enjoying a Finnish sauna, hydromassage or Turkish bath while there is a gym for those who like to keep busy. During the day, there are many activities to enjoy as well as entertainment but during the evening guests can enjoy live shows and music.